In a Nutshell: Our financial futures are often tied to the communities in which we live and work. That’s why it’s so important to live in areas that are trending upward. A good example is Mauldin, South Carolina, which is experiencing marked growth. The city’s power and communication infrastructure has made it especially attractive to manufacturers and corporate call centers. To keep up with expansion, Mauldin is adding more residential housing and a new downtown area to the city; these, alongside community features, like arts and sports centers, offer a rich cultural experience for residents. With a high quality of life and dedicated government support at the local, county, and state levels, Mauldin is in a strong position for continued growth. 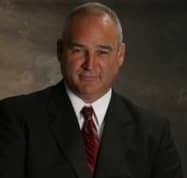 One day, Van Broad, Community Development Director of Mauldin, South Carolina, received a call from the city fire chief. But the call wasn’t about a fire; instead, it was concerning the city’s burning need for housing. The chief had met a Charlotte resident who wanted to sell 45 acres of land in Mauldin, and Broad proceeded to facilitate a deal to sell the land and develop it into residential housing. The city’s demand stems from a marked increase in industrial and service jobs. Over the last decade, Mauldin has enjoyed sustained prosperity. According to Best Places to Live, Mauldin saw an unemployment rate of 4.90% in 2016, which was below the national average of 5.20% at the time. Median household income was also high, sitting at $56,619, nearly $3,000 above the national average. It also experienced above-average job growth — 2.82% versus the 1.59% national average. Over the next 10 years, future job growth is projected at 40.75%, which is almost 3% higher than the expected national average for job availability. Mauldin’s success stems from solid infrastructure, community-oriented development projects, and civic officials dedicated to residents’ quality of life. Because of the strong economic growth and employment potential created by these factors, we’re recognizing Mauldin as one of the Best Cities to Jump-Start Your Career. Part of Mauldin’s allure is its infrastructure. According to Broad, power availability and redundancy make it attractive to manufacturers, and the availability of high-speed internet makes it prime real estate for communications-based services. Recent manufacturing growth includes Turbine Technologies, Inc., which is a veteran-owned and operated company that moved from Boston to South Carolina. A GE supplier, Turbine Technologies invested $20 million in its Mauldin operations. Another is MP Husky, which designs and manufactures cable tray systems, wire mesh and basket cable tray systems, and cable bus power distribution systems for industrial and communications cables. Its new 150,000-square-foot facility, set to open in 2018, adds 50 additional employees to a 100-strong existing workforce. Once the new operation is up and running, the company plans to build an additional 175,000-square-foot facility, which will create another 150 new jobs. The corporate office of Charter Spectrum (a cable, phone, and internet service provider) also makes Mauldin its home. Broad says the abundance of internet access and bandwidth has created a niche market for call centers in Mauldin. “We’ve gotten six or seven call centers located here within the last five years-plus,” Broad said. Esurance’s call center alone created 450 jobs. Verizon recently invested $3.5 million in its Mauldin call center, adding another 270 jobs. Samsung also operates a call center in the city. Other notable job creators in Mauldin include BB&T, which opened a 140,000-square-foot mortgage servicing center in 2017. While this realigned pre-existing jobs from around the county, the company plans to add more new jobs there, as well. Another new business arrival is Morley, which located an event planning center in Mauldin. It invested $1.7 million in an existing building and brought 270 additional jobs to the city. The flip side of job growth and a high employment rate is a shortage of people to fill emerging labor vacancies. In anticipation of rising population, Mauldin is developing living and leisure spaces to help attract new workers. To accommodate rising population and expectations for quality of life, Mauldin is working to improve commercial activity in the city. But two major town center projects are about to change that. Mauldin’s high quality of life is yet another reason it’s such an attractive job market. Beyond attracting jobs and building the local economy, the city of Mauldin ensures a high quality of life for citizens outside working hours. One such resource is the city-funded cultural center. “We’ve added an art school to that,” Broad said. “We’ve added programming inside, in our auditorium theater.” This programming has included children’s theater, comedy shows, and a beach music series and a farmer’s market in the outdoor amphitheatre. In addition to the cultural arts center, Mauldin also operates a high-quality sports center. “It’s a great facility, and a lot of people take advantage of that,” Broad said. “We offer corporate discounts to local companies, as well — for them and their employees.” The center features free weights, weight machines, bicycles, treadmills, a track, and activities like Zumba, yoga, and kickboxing classes. Broad thinks just as highly of Mauldin as he does of his team within the local government — and that team is a driving force in Mauldin’s continued prosperity. Local government has spurred growth through a streamlined, responsive permitting process. Broad was born in Greenville and lived most of his life in Charleston. Before getting involved in community development, he spent 20 years as a music and youth minister. He and his wife moved to Fountain Inn, 10 miles south of Mauldin, 21 years ago, when Broad took a job at a church there. Eleven years later, Broad decided it was time to spend more time with his children — and for a career change. At the time, the Greenville area was already developing. Then, Fountain Inn put out a call for a new manager of economic development. Broad earned the position thanks to his marketing experience through the church and his familiarity with the community. “I felt like I knew what the city needed, and I felt like I had the skill set to bring to the position,” he said. Broad built on his existing skills and knowledge base with a state-offered economic development course, which he said was crucial to his success. Broad also praised Mauldin’s partnership with Greenville County, particularly the industrial recruitment arm called Greenville Area Development Corporation. “I think the work it does has created the opportunities we have in Mauldin,” Broad said. While the opportunity to find quality jobs is crucial, it’s also important to consider quality of life before making a geographical move. Luckily, Mauldin has this aspect covered, as well. Additionally, Mauldin’s crime rates are low; the city reports it ranks among the top 20 safest cities in South Carolina, according to SafeWise and the National Council for Home Safety and Security. Broad recounted a recent meeting with the director of Charter Spectrum. He told Broad that he and his wife fell in love with Mauldin when they moved there. He went on to say that, if he ever left Charter Spectrum, he would look for another job in Mauldin, so they wouldn’t have to leave the area. 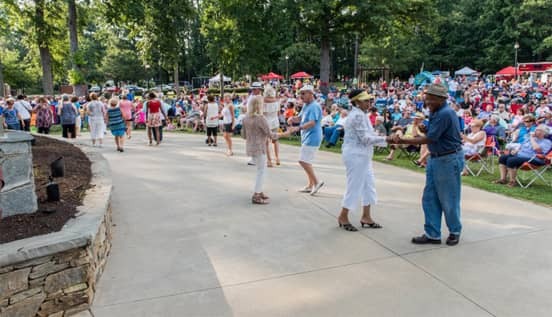 That attraction, coupled with the positive social and economic environment, keeps Mauldin poised to enjoy sustained growth and prosperity for years to come, which is certainly attractive to anyone looking to start over somewhere new.